Kilmarnock have hit out at Rangers for labelling their Rugby Park pitch as ‘unforgiving’ following the knee ligament injury sustained by striker Martyn Waghorn. Waghorn was brought down inside the box by Stuart Findlay in the second minute of the Gers’ Scottish Cup fifth round clash against Killie on Tuesday night, which the Ibrox outfit won 2-1, and the 26-year-old stepped up to slot home the penalty. However, Waghorn had to be substituted a few minutes later as he could not continue and the Gers confirmed yesterday that the striker faces a period of several weeks on the sidelines. Killie’s hierarchy are unimpressed by the comments from the Gers on their pitch and secretary Michael Johnson has requested the Scottish Championship remove the phase. Johnson is left disappointed that the Gers’ website would carry such a comment on their pitch, something he described ill-informed and went on to highlight the quality of their pitch. The secretary also highlighted that the pitch was not only FIFA 2 star compliant, but has also been used for rugby internationals, which require additional shock absorbency and impact protection. Johnson is of the opinion that the article was drafted by someone who had zero knowledge about synthetic pitches and revealed that they have contacted the chief executive of Rangers to have the remark removed. Speaking in an interview with STV, Johnson said: “It’s disappointing the official Rangers website would carry such an ill-informed comment. “The 3G pitch at Rugby Park is not only FIFA 2 star compliant, but also meets the higher standards set by international rugby. We have already hosted the world’s first full rugby international played on a synthetic pitch (Scotland v Tonga, November 2014). “In January, we hosted Europe’s top club side in Racing 92 in their match with Glasgow Warriors and tomorrow evening we are hosting the Guinness PRO12 match between Warriors and Munster. “Clearly there is far more physical contact with the 3G pitch during a rugby match and no player has sustained any injury related to the surface. The IRB require additional shock absorbency and impact protection beyond the requirements for football so the pitch at Rugby Park represents the most forgiving playing surface in Scottish professional football. “My immediate reaction was the author of the article didn’t know what they were talking about and this is the sort of ill-informed remark that people tend to make about synthetic pitches without checking the facts. 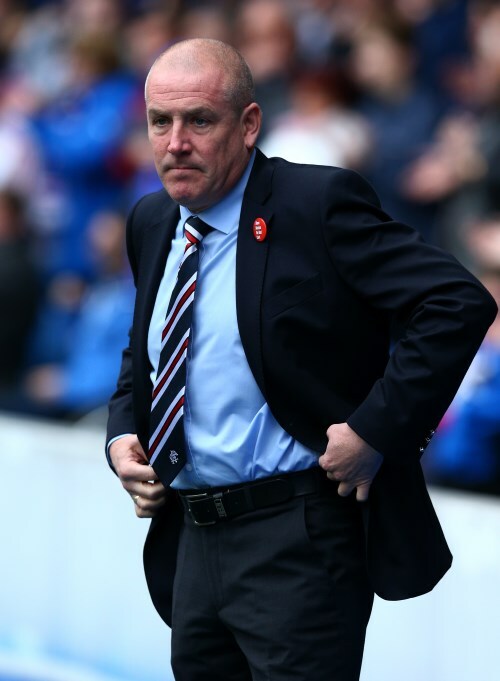 The Kilmarnock game was the Ibrox outfit’s second consecutive one on an artificial pitch and Mark Warburton’s side will play one more game on a 3G pitch against Queen of the South on Sunday before returning to Ibrox for their clash against St. Mirren on 27th February.